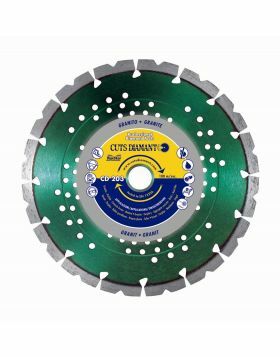 Diamond saw blade with laser welded segments of 10mm height. It grants extraordinary performance for dry cutting granite, concrete, reinforced concrete, bricks and general masonry. 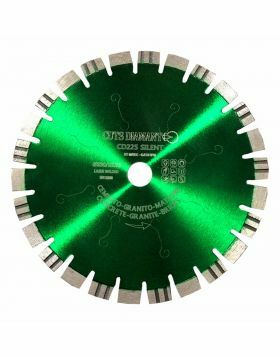 It is available in diametres 300mm, 350mm and 400mm and it has be used on cut-off saw.